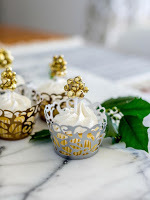 Christmas is days away, but I have one last simple project idea that you can whip up in plenty of time for your Christmas meal! 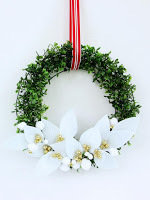 I made these jingle bell napkin rings for the latest Oriental Trading Supply of the Month Challenge. 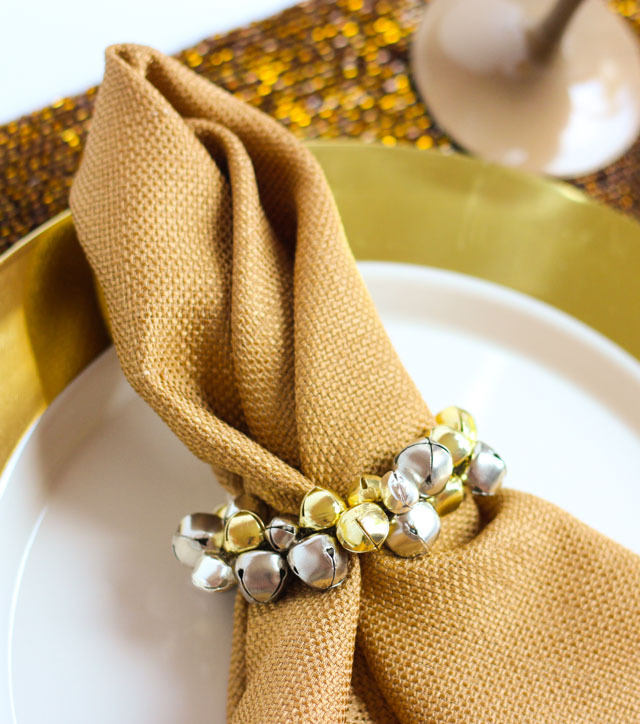 All you need is some gold and silver jingle bells and jewelry wire, and you can add an extra special touch to your place settings in no time! 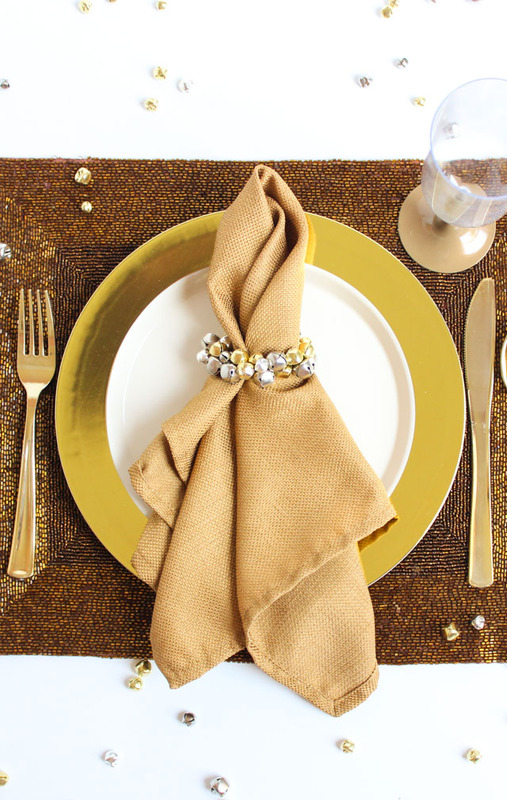 If you make a set of these napkin rings, they can be reused year after year. 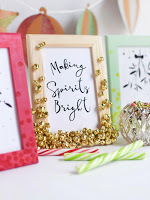 They would also make a great homemade hostess gift. I love decorating with metallics for the holidays and you can achieve that extra special look without having to spend a lot. 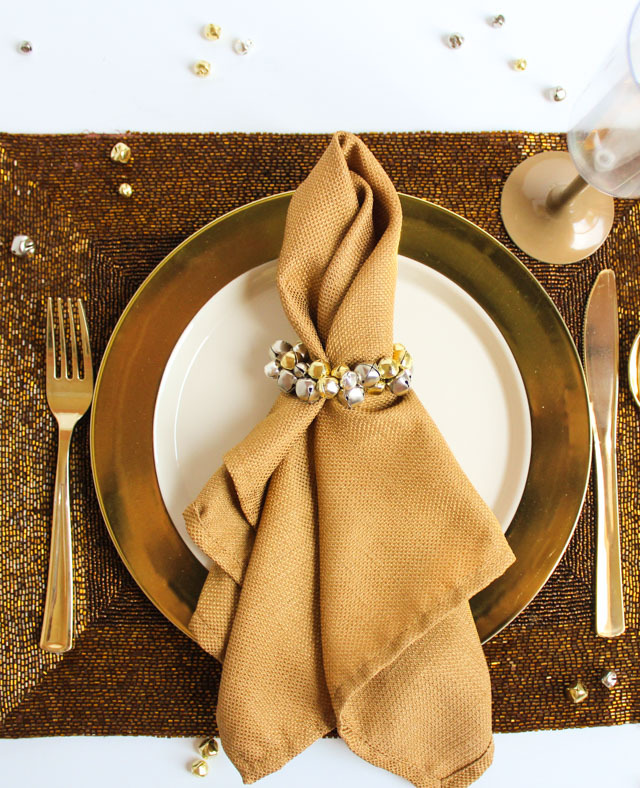 This gold filled place setting uses gold-rimmed plastic plates and gold plastic cutlery. You can even avoid having to do the dishes if you go with these fancy disposable options! Head to Oriental Trading’s Fun365 site for the step-by-step jingle bell napkin ring tutorial and full list of supplies!